It is not easy to identify the best vacuum for your house or apartment if you’re under a strict budget. Today, we look our best picks in the best vacuum under 200 dollars category. However, you and I know that buying a vacuum calls for more than simply looking at the price tag. Now, this is what we did. To cut down your work, we compiled what is in our opinion, the most comprehensive list of the top ten fuss-free cleaning vacuums under $200 by looking at desirable features and performance vis-à-vis cost. The Shark Rotator NV501 is an upright vacuum which allows you to easily lift the canister away from the unit for convenience while vacuuming hard-to-reach areas. This rare versatility has won it lots of admirers especially if you want something that can work on diverse types of surfaces. Equally important are the accompanying attachments: a high-quality pet power brush, crevice tool, dusting brush, straight suction nozzle, and a broad pet upholstery tool. These accessories help to produce brilliant results. The vacuum’s HEPA filtration (sealed) ensures that you will always breathe fresh so long as you have this precious gem at home. HEPA filters prevent up to 99.97 percent of allergens from getting back into the air. Steering it around the installations in the room is super easy while LED headlights are handy for dark corners and late night tasks. Crucially, you can turn the brushroll on/off when necessary. It accomplishes cleaning tasks with finesse. The LED headlights are useful for late night cleaning and dark areas. The extra-large bin allows long uninterrupted cleaning. It comes with a fairly long cord for further reach. You have to detach the canister to reach under the bed. This unit with a lift-away hand vacuum option flaunts a wider cleaning radius, a robust pet brush, and a handy sealed, washable anti-allergy filter. As expected, it powerfully dominates dirt. If you want the best vacuum under 200 dollars that can clear messes in commercial environments and homes alike, you may want to consider this Oreck upright vacuum. It is suited for cleansing both low pile carpets and hard surfaces. Going by the cleaner’s 12-inch-wide cleaning path alone, it’s evident that it will take you a very short time to get the job done. In addition, this is very gentle to hold and can even be used by seniors and those with a weaker grip. As a matter of fact, it has received the much-sought-after Ease-of-Use Commendation from the influential Arthritis Foundation. Amazingly, despite its brushes whirling at consistently high intensity, this powerful vacuum remains fairly silent. Has a big bag so it’s better than vacuums needing frequent emptying. It fits below sofas easily. You don’t need to manually adjust the settings when shifting from carpets to hard floors. It feels easy on your hand. Superb in cleaning hard-to-reach edges. It’s not so good on rugs. Agile, speedy, and balanced, this vacuum leaves even some of the top-ranked canister vacuums trailing in its wake. It’s a good bet if you need an elite-level performer at below $200. Most of the cheaper vacuums don’t really perform. But this Hoover Linx Signature cordless cleaner is one of the few vacuums under $200 to go against the grain. It delivers a sleek shine while sucking in hair left behind by pets. The vacuum’s quality shines through and through with its praised WindTunnel technology helping it to powerfully scrub debris and stubborn dirt. Combined with the closely packed edge cleaning bristles, the vacuum excels even at cleaning difficult wall edges. Its handle is also easy to recline for an easier access to the underside of sofas and other furniture. In addition, the removable battery gives about 20 minutes non-stop service while the battery gauge helps you check remaining usage time. Washable filters, a 2-year limited warranty, and the fact that you can shut off the brushroll win it some extra points. It has one of the most powerful suctions. The battery gauge helps you track battery usage. It switches from carpets to hard floors easily. The vacuum has a reassuring 2-year limited warranty. It removes dirt and hair from hard-to-reach edges easily. We feel that the troubleshooting guide isn’t detailed enough. A low-profile, powerful work-horse, the Hoover Linx Signature is one of the select vacuums under 200 dollars you can trust to perform a hassle-free cleaning job. Not many of the top-ranked robot vacuums have captured the imagination of the market like the ILife V3s Pro robot. Recommended for spaces up to 100 square meters, the robot runs around freely and uses its great suction to great effect, easily picking up dirt, hair, fur, and dust without tangling. Its impeccable results when cleaning pet hair has, and rightfully so, earned it the nickname “pet helper”. Whether on low-profile carpets or hard floors, the ILIFE V3s Pro can be set to clean at your preferred time as you focus on other important tasks. In addition, the high-performance HEPA filters carefully separate swept dirt from debris reducing clogging. The robot will also, release fresh air to expel odors from your space. Interestingly, it’s also priced below 200 dollars. It picks pet hairs with utmost efficiency. It reaches under dirty beds and sofas. You can control it using the app or the remote control. It struggles with some carpets types and rags. 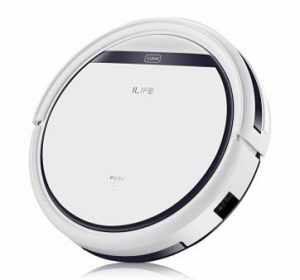 If you are looking for an affordable robotic vacuum for pet hair, the ILIFE V3s pro could, with its classy pet hair caring technology, have all the answers. The three channels of suction give this upright vacuum a distinct ability to dust off more dirt and debris with each run. This, coupled with the accessories makes this a practical and multi-functional cleaner. The 2-in-1 crevice tool is especially innovative. It helps to clean cracks and crevices immaculately when in crevice mode. And when you switch it to dusting mode, it scraps vents, furniture, and your decors to perfection. Moreover, the telescoping handle also helps to ensure that the vacuuming task is done comprehensively. Most importantly, you can trust it pretty much everywhere. The vacuum does a decent job on hardwoods, wall-to-wall carpets, tile floors, and thick shag rugs. If you have a dust allergy, the included HEPA filter is very beneficial. The handle feels great and reduces hand fatigue. It’s one of the lighter vacuums. The cleaner is multi-functional and tackles many surfaces. It navigates obstacles without much hassle. The vacuum has one of the most powerful suctions. Its cleaning path isn’t as big as some of the competition. The triple suction channels give this upright vacuum exceptional energy. The telescopic handle and precise brush are the icing on the cake for what is undoubtedly one of the best vacuums under $200. This Shark lift-away vacuum features a brushroll shutoff. So, you can easily switch from deep delicate carpets to bare floor cleaning using the hard floors attachment. We also like its swivel steering as it makes it easy to push around while the detachable canister enables it to reach hidden places. It’s also a favorite of people with allergies thanks to the sealed and super-efficient allergens trapping system that includes a HEPA filter. Also, pet owners also have a reason to smile with this…its wider pet upholstery tool is as good as they come in picking pet hair. At the same time, it sustains a powerful suction from start to finish for an accomplished performance. A very good cleaner for pet hair dander. It’s awesome on hard floors. Comes with multiple essential attachments. Its dust cup is smaller than in most of its rivals. The lift-away technology and swivel steering make this 2-in-1 one of the most versatile upright vacuums. You can always expect a very compelling performance wherever you deploy it. If you are looking for a proficient cordless unit, then the Deik 2-in-1 vacuum is a fantastic option. Working with impressive power, you will certainly love its deep, thorough cleaning. And the machine seems to be at home wherever dirt is – small messes and tighter spaces included. You will also find the elongated slim pole helpful since it helps to reach above-ground areas such as shelves and ceilings. As it is cordless, you can get up to 25 minutes of suction while smoothly transitioning from hard floors to rugs to low pile carpets. Also, the Deik 2-in-1 has one of the best anti-bacterial and anti-allergy filtration systems that lock in the tiniest of irritating particles. You can reach high up the ceilings easily. For storage, it simply docks on the wall. You get steady suction for up to 25 minutes. It’s not ideal for large spaces. Powerful and precise, this Deik 2-in-1 cordless vacuum easily captures dust, wherever it may be. And it really needs very little maintenance. The Oreck U2000RB2L-1 commercial upright vacuum is yet another convincing cleaner from the manufacturer, this time targeted at budget consumers. Yet its performance isn’t anywhere near limited. Indeed, we believe it’s one of the stars when we come to carpets! And it’s great with wood, laminates, and tiles too. The greatest invention here is the super-balanced brush roll which can run at a staggering 6,500 RPM to whisk dirt and debris from their hiding places. Also, the vacuum only weighs 8 pounds. This makes it easy to move around the room or from room to room as you clean. Then, the vacuum affords you a more-than-sufficient 12-inch cleaning path and also comes with extra bags. The extra bags help cut costs. It’s very easy even on weak hands. Has a lengthy power cord for convenience. This is a promising upright vacuum under 200 dollars. Even though it is labeled “commercial”, it also does a great job in homes. It comes with extra 6 bags and is a master in carpet cleaning. To find out its current price, click here. What this diminutive Bissell PowerGlide vacuum lacks in size, it fully compensates in ability. Its blessed with a powerful, scatter-free suction, assertive triple action brushing, and edge-to-edge all-around cleaning which picks up pet hair with outstanding expertise. Indeed, of all the pet vacuums in this range, this is among the best. With a 12.5-inch cleaning path, this unit surpasses most of the vacuums retailing under 200 dollars. And it doesn’t cow away from any surface. From area rugs, carpets, bare floors, stairs, sealed hard floors, pet beds, and even upholstery, it’s happy to take the challenge! To crown it all, if you add the optional Febreze pets odor filter, this vacuum leaves the house smelling fresh and clean. It’s superb with pet-related cleaning jobs. Has a powerful, scatter-free suction. The hose stretches below furniture and over stairs. Captures allergens and can eliminate pet odors (with the additional odor eliminator). Works well on almost all surfaces. A little pet-hair cleaning giant, this vacuum firmly deals with dander, hair, and fur with ease. And it can handle multiple floor types too. Click here for more information on its price. 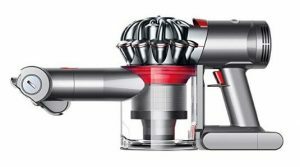 If you are looking for the best cordless hand vacuum under $200, the Dyson V7 Trigger is the ideal option. It nails it with its unwavering suction and a variety of attachments (a mini-motorized tool, crevice tool, and combination tool) for the best cleaning experience. Also, the charge can last up to 30 minutes. As expected of a handheld vacuum, the Dyson V7 Trigger is light and reaches down low, up high, and everywhere else leaving squeaky clean surfaces in its wake. The 15 cyclones set on 2 levels work hard to filter microscopic dirt and restrain irritating allergens. Even emptying dirt is hygienic. Instead of using your hands, the silicon collar nudges the dirt down the shroud and out, in a single action. It has an amazing battery life. The vacuum picks up dirt smartly on various surfaces. It doesn’t come with a wall mount/dock. With up to 30 minutes of fade-free runtime, this is another exemplary vacuum that costs less than 200 bucks. The fully-sealed dirt filtration system and the attachments assure polished results. As you have seen in the product reviews, there are different types of vacuums. When searching for the best vacuum under 200, there are some unique features that you need to know regarding vacuums. Most vacuums are corded. Now, for any corded vacuum, the cord is certainly one of the most important considerations. Preferably, it should be long enough to give you room to cleaner a bigger area from a single outlet. Something else: if you find the process of manually rolling the cord cumbersome, a retractable cord lets it to automatically retract into your cleaner, saving you from the hassle. From the onset, corded vacuums were purposed for larger spaces. On the other hand, cordless vacuums need to be charged before every task. They usually come with either a wall or a base charger (where you store the vacuum to charge prior to the next job). Ordinarily, the charge on these cleaners is barely long. For this reason, these vacuums are suited to cleaning small rooms or quick messes. Cylinder vacuums are smaller and lighter. So, they tackle tight spots, stairs, and upholstery effectively. Sadly, most cylinder vacuums make a mess of carpeted areas. Big carpeted spaces are, on the other hand, the forte of upright units. Bagless machines collect vacuumed dirt in their dust cups. Though the dirt cups are typically small, the cost of buying replacement bags will be a thing of the past. On the other hand, bagged cleaners carry more debris but you have to contend with unhygienic emptying. You also have to keep buying spare bags which may prove a costly affair. A vacuum with adjustable height allows you to set the vacuum at the most comfortable level depending on what you are cleaning. Whether manual or automatic, a proper height makes you more efficient. This enhances the reach of your vacuum so that you can clean ceilings, ceiling fans, window treatments, and other elevated spots. A brush roll helps a lot when working on carpets. However, it can easily damage your rugs and hard floors. To make sense, your vacuum should have a button/lever to shut off the brushroll. Thankfully, most vacuums presently come with this feature. The right attachments will help you do the perfect job. For instance, a crevice tool reaches all tricky and hard-to-reach areas while an upholstery tool simplifies your task when cleaning upholstery. Also, a pet attachment ensures pet hair and dander have not place to hide. Looking for the best vacuum under 200 Dollars can be a nightmare. However, you can rest easy since we went all out and selected the top 10 for you. Whichever you pick among these will be a worthy investment. However, we highly recommend the Shark Rotator Professional Lift-Away Upright Vacuum. Well, most of the products reviewed here range from $100 to $200. If your budget is lower than 100 bucks, you can check out our best vacuum under 100 dollars review for more options. If you have any feedback or question regarding any of the vacuums in this article, feel free to let us know what you think in the comments section below.